Hey everyone and welcome to another Monday Montage Blog Hop! I hope you all had a great 4th of July weekend. Mine was filled with baseball, fireworks, 3D archery, ice cream, and time with my family! I was also able to get in lots of stamping time and have a great card to share with you today. I really love the overall modern feel of this card with all of the geometrical shapes and patterns! For this card, I actually CASEd (copy and share everything) one of my own cards from earlier this year. I used the same colors (Rich Razzleberry, Coastal Cabana, Tangerine Tango, Sahara Sand, Early Espresso, and Whisper White), a similar layout (I just made it horizontal instead), and a fun background. 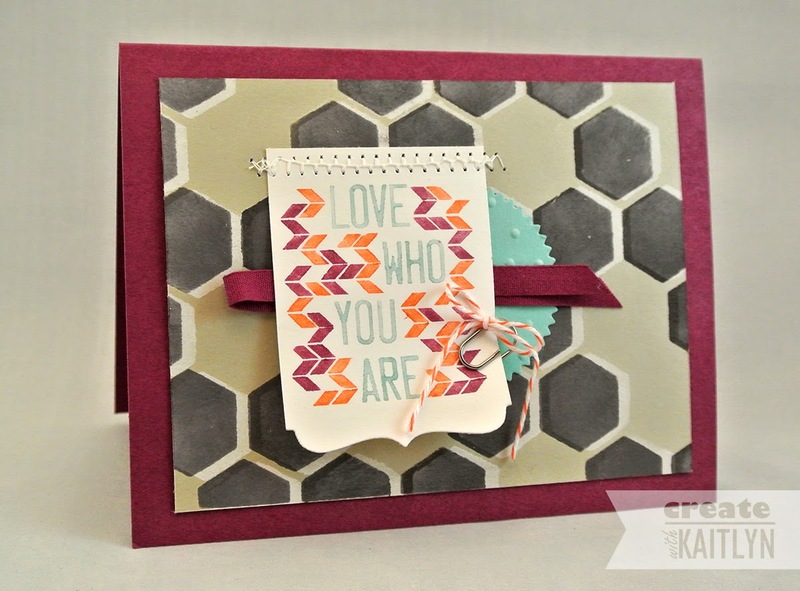 The background on this card was created by using the Hexagon Hive Thinlit as a stencil. I first used the stencil with Whisper White Craft Ink on Sahara Sand Card Stock. Once dry, I move then stencil slightly and used sponged some Early Espresso Ink over the white. Once the background was done, I knew the Love Who You Are stamp would be perfect with it's geometrical pattern! 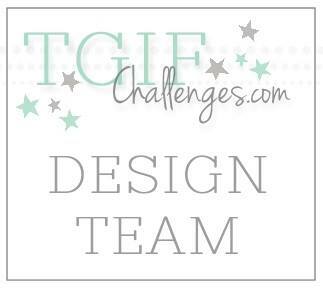 This stamp just called to be colored with my Stampin' Write Markers. Coloring directly on the stamp is a great way to get a single image to be multicolored! I got the custom shape of the Whisper White Card Stock by using the Deco Label Framelits (see a tutorial here). Then I just layered a bunch of different elements to complete the card! I know everyone else has some awesome projects for you. So be sure to click the "Next" button below! Love all of the geometrical goodness on this! And I love how you used the thinlet as a stencil. 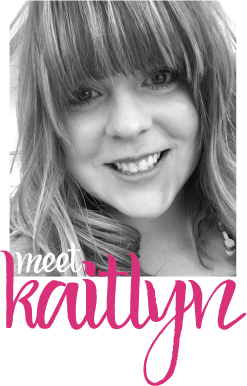 Fabulous card, Kaitlyn! 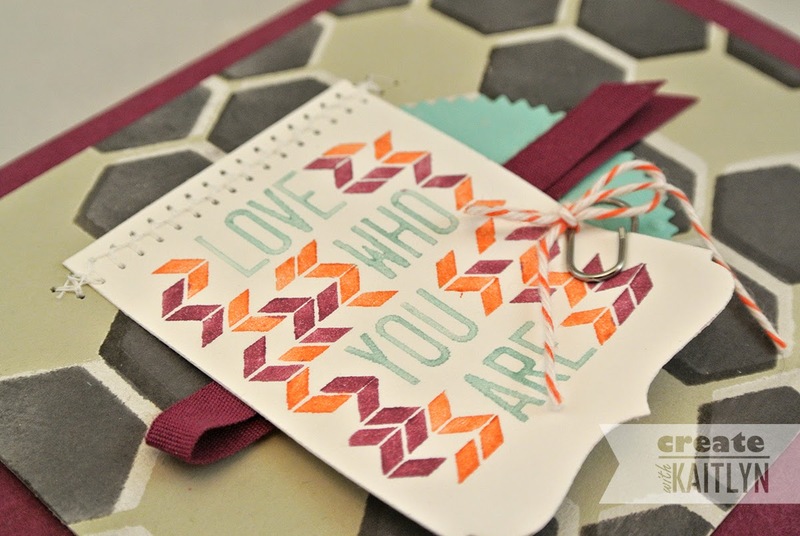 Love the Hive thin let as a stencil :) Really cute card and color combo Kaitlyn! Very cool background technique! Love your card!